Secure Remote service solutions are becoming more and more important to plant owners. The plant managers are mostly faced/ are concentrating with challenges such as productivity, sales efficiency and lower total cost of ownership, etc., instead of looking permanently after the automation security concept of their plant. This situation shows clearly customer expectation against automation manufacturers and their secure remote services concepts; and also reflects. In our speech we will talk about secure remote services and why it is so important to define network architecture, to do hardware protection or to have a suitable access control. Furthermore, you can learn how Yokogawa's remote platform can systematically and continuously implement system updates so that your automation and information technology, (from the operating system to the applications), is always up to date. Since it is a big advantage and further important to have appropriate measures and concepts against ever-increasing hacker attacks and the increasingly complex IT infrastructure within the automation landscape. We, therefore also provide an overview how you, besides a secure IT security concept and a secure remote platform, also train and integrate the employees in your holistic Secure Remote Services plant philosophy. Since your employees have a big impact regarding your Secure Remote Services concept. Due to this Yokogawa will explain the benefits of our security awareness training to conclude your secure remote services concept. It becomes clear that the Secure Remote Services solutions are gaining in importance every day. Join our speech and you will find out how you can use Yokogawa's remote platform as the basis you’re your security solutions. Lee Chee Hoe is Global IA Cyber Security Evangelist of Yokogawa Electric International in Singapore and Security Consultant for Europe. In Project Management, Lee Chee Hoe is spearheading Global Project Management for Shell Secure Plant Project as a tripartite partnership between Shell, Cisco and Yokogawa. He leads the global team to first successful deployment of Port Arthur (Downstream Refinery) for Shell Secure Plant. He successfully managed the deployment of Norske (Upstream Refinery) in Norway, Convent (Downstream Refinery) in USA, Bukom in Singapore, Norco (Downstream Refinery) in USA and Sarnia in Canada. As complexity in modern engineering systems continue to grow, institutions face greater challenges addressing the needs of modern energy, transportation, communication, and health systems. The engineers of tomorrow must be proficient in a greater range of technical concepts and applications more than ever before to be ready to function in this rapidly evolving landscape. Systems thinking that allows for top-down & bottom-up design and implementation as well as the platforms that facilitate such design, exploration and implementation will be critical ingredients in developing the engineer of 2025. To keep up the pace of innovation, problem-solving and harnessing complexity - education institutions have begun exploring options, such as experiential project and problem-based learning to accelerate the development of a stronger intuition for complex engineering system design often found in the grandest and most ambitious modern engineering challenges. Learn how elite educators around the world are partnering with NI to “future proof” their teaching and research programs and lead students to engineer whatever comes next - faster. As the Global Technology & Marketing Director at National Instruments, Rahman Jamal leads the marketing organizations for NI in the Americas, APAC, and EMEIA. He is a leading expert in the different industrial markets of interest to National Instruments, including test and measurement, design and control, industrial and embedded, automotive, and academia. 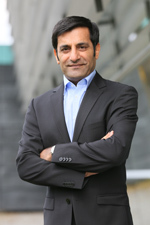 In addition, Jamal is a prolific author of articles, books and user-conference proceedings and a thought leader in many public forums on innovation policy— most recently within the domain of Cyber-Physical systems, the Internet of Things, the Industrial Internet of Things, and the German Industrie 4.0 initiative. Only recently, Jamal was recognized with the title of “visiting professor” for Industrie 4.0 and IIoT at the Sino-German College for Applied Sciences at Tongji University, Shanghai. Jamal joined National Instruments in 1990 as an applications engineer working directly to support customers and was instrumental in establishing the NI subsidiary in Munich, Germany. In subsequent years, he assumed many roles, such as Applications Engineering Manager in Germany, Technical & Marketing Director for the Central European Region, and Technology & Marketing Director for Europe. In 2014, he stepped into his current global role, working across the regions of the world and acting as an executive stakeholder in the National Instruments marketing organization. Jamal earned a master's degree in electrical engineering from the University of Paderborn. He is actively involved in several advisory boards including the OPC Foundation and the VDE Association of Electrical, Electronic and Information Technologies. In addition, he is the chairman of Virtual Instruments in Practice, the National Instruments premier industry and user-conference event in Central Europe. New disruptions – technological, business and social – are being facilitated by the evolution of digital technologies. There are, of course, many valuable pilot efforts across the world that integrate a deep understanding of digital technologies with student learning. Yet the classical classroom that does not fully include digital learning dominates globally. There are many curricula that allow postsecondary students to learn about digital opportunities, but these are not ubiquitous. As educators, we want students to learn and become more self-aware about how their academic disciplines intersect with the enlarging digital world. How do we do so? First, we must convey that digital transformation and innovation are not synonymous. While digital transformations are typically realized over longer periods, digital innovations on the other hand are generated by the more immediate ignition of creativity and relatively shorter term design thinking. Digital creativity is enabled both within the classroom and oftentimes outside it, in the latter case sometimes even without a formal curriculum. It thus follows that, in addition to discipline-specific fundamentals, students should learn to embrace digital evolution regardless of their area of academic discipline to enable longer term digital transformation. In this presentation, we will discuss some examples of how the awareness and understanding of digital evolution has been integrated into student learning in various engineering disciplines. This includes, for instance, teaching and learning related to autonomous systems, data analytics, IoT implementations, e.g., for advanced manufacturing, and the evolution of graphical user interfaces and apps. Finally, we present some strategies to encourage the more ubiquitous implementation of these integrations. Ishwar Puri is dean of engineering and professor at McMaster University in Hamilton, Ontario, Canada. He is a Fellow of the Canadian Academy of Engineering (CAE), and of AAAS and AIAA. His technical area of expertise is applied mechanical engineering science, translating fundamental research into applications and engineering practice. His contributions range from developing more efficient combustors, enhancing fire safety to designing thermal logic devices and developing magnetic inks for 3D printing. As an academic leader, he has initiated a digital learning and research strategy across engineering disciplines in the McMaster University Faculty of Engineering. 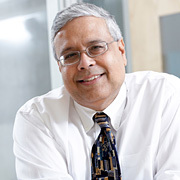 He chairs the Canada-wide National Council of Deans of Engineering and Applied Science. Circular Economy (CE) is trending around the world with major consulting firms Accenture, Deloitte, Ernest & Young, and McKinsey publishing reports in the last two years. Accenture estimates an economic opportunity of five trillion dollars for businesses moving to the CE. Since the first industrial revolution generations of people used to linear economy (LE) i.e. produce, use and throw. LE depletes materials, energy and water resources. Moreover the undesirable effects of LE on the living environment is evident around the world. Growing consumerism and population worldwide raised concerns about the sustainability for future generations. Call for legislative pressure, stricter environmental laws, and coordinated efforts to move away from the LE to CE is gaining momentum. New legislations in Europe, China, Japan, USA and Singapore put pressure on industries and businesses to bear the responsibility for environmental impacts of their products over the entire life cycles. China studied the best practices of pioneering EU countries, and passed laws to promote CE. Provinces like Qinghai are adopting CE to achieve green or low-carbon development and growth. CE oriented industrial system involves the use of renewable energy, elimination of use of toxic chemicals, elimination of waste through superior design of products, resources efficiency, remanufacture products, recover resources at the end of service life, and innovative business models. CE aims for sustainable development i.e. economic prosperity, environmental quality, and impact on social equity and future generations. Industry 4.0 is seen as an enabler of the circular economy. Industry 4.0 is characterized by a confluence of new technologies such as automation, Internet of Things (IoT), cyber physical systems, machine learning, cloud computing, big data analytics, artificial intelligence (AI), sensors, robots, human-robot interactions, 3D printing, wearables, mind-technologies, biotechnology and nanotechnology. They are expected to transform the production systems, business models, economic growth, employment, and sustainability. For example, IoT, sensors, on-device AI, and big data analytics help to monitor, diagnose, preventive maintenance, and reduce harmful emissions in the transportation sector. New approaches include re-design of vehicles and materials selection with environment in mind, and processes to ensure complete recycling of used vehicles. Application of augmented reality, virtual manufacturing and smart manufacturing or digital manufacturing to shorten lead-time, reduce cost, improve productivity and quality. This is applicable to land, sea, and aerospace transport systems. Similar examples are emerging in plastics, wood, paper, construction, water use, solid waste handling, clean energy generation and use, resources efficiency and productivity of manufacturing processes, agriculture, farm produce, food packaging, beverages, textiles, supply chains, and services sectors. Using these technologies garments company Zara designs and stock an outfit in its stores around the world in 20 days! Silicon Valley entrepreneurs backed company Allbirds makes machine washable shoes from very fine merino wool and meant to be worn without socks. Urban farming enabled by industry 4.0 technologies reduces the water consumption and fertilizer consumption while improving the yield and quality. More over these improved practices contribute to lowering of carbon foot print of products. New approaches integrate environmental factors to realize sustainable product design and manufacturing, and eco-friendliness of products and uses. Emerging industrial revolution will be a result of synergetic pursuit of new technologies and circular economy. It will transform the production systems, business models, economic growth, employment, and sustainability. Hybrid technologies involving Industry 4.0 and CE concepts are expected to transform the production systems, business models, economic growth, employment, living, and sustainability. They enable the vision of smart, green and livable cities. This lecture examines how the new technologies and CE concepts will impact the industry and environment? Other questions that will be addressed include which sectors of the economy will have the most impact? Which industries and businesses will be benefited and who will be affected? What are the opportunities for innovation? What are the best practices around the world, and examples to emulate? What are the changes needed in education to nurture future human capital? Seeram Ramakrishna, FREng is a Professor of Mechanical Engineering at the National University of Singapore (NUS). He leads the Circular Economy taskforce with members drawn from across the university, and various national research institutes under the Agency for Science, Technology and Research, ASTAR, Singapore. He is an advisor to the National Environment Agency of Singapore on Industry 4.0 and Circular Economy. He is a member of World Economic Forum’s Technology and Innovation for the Future of Production committee. He chairs the Future of Manufacturing technical committee at the Institution of Engineers Singapore. He is a member of Smart Manufacturing Standards Committee of Singapore. He is a Highly Cited Researcher (highlycited.com; Clarivate Analytics). Thomson Reuters identified him among the World’s most influential scientific minds. An European study http://www.webometrics.info/en/node/58 placed him at number 3 among the only eight researchers from Singapore with H index over 100, and among the only 1612 highly cited researchers (h > 100) in the world. He received PhD from the University of Cambridge, UK, and The General Management Training from the Harvard University, USA. He is an elected Fellow of UK Royal Academy of Engineering (FREng); Singapore Academy of Engineering; Indian National Academy of Engineering; and ASEAN Academy of Engineering & Technology. He is an elected Fellow of major professional societies in Singapore, UK, India and USA. His leadership roles includes University Vice-President (Research Strategy); Dean of Faculty of Engineering; Director of NUS Enterprise; Director of NUS Industry Liaison Office; Founding Director of NUSBioengineering; Founding Co-Director of NUS Nanoscience & Nanotechnology Initiative, NUSNNI; and Founding Chairman of Solar Energy Research Institute of Singapore, SERIS. He served on the boards of several national organizations. He founded a successful international organization- the Global Engineering Deans Council, GEDC (http://gedcouncil.org/ambassadors). For the implementation of Industrie 4.0 in practical applications, high process transparency, an integrated data flow and high adaptability of the industrial value chains are essential requirements. In this presentation, the main challenges on the way towards Industrie 4.0 in manufacturing companies as well as promising approaches and recent experiences are presented. Today, manufacturing companies are facing the challenges of an increasing product variety and shorter lead times, while there are typically high efforts for individual engineering, data processing and the adaptation of production equipment. Thus, one important target is the vertical integration of business processes from the digital customer interface down to the machine level, which means the integration of all IT systems related to engineering, individual product configuration, order processing and machine setup. In order to achieve this target, the digitization and automation of numerous processes is necessary, which requires digital representations of products and production equipment. Classification and modelling standards such as eCl@ss and AutomationML can provide a basis for the digital representations, which have to be processed automatically in digital value chains. On the shopfloor level, modular machine concepts as well as flexible line control systems serve as enablers for transparent and easy-to-setup production processes and thus for an efficient variant production. 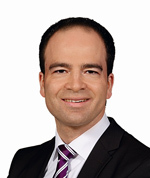 Andreas Schreiber studied Electrical Engineering and Information Technology at RWTH Aachen University. After his studies, he worked as a research assistant at the Institute of Plastics Processing in Aachen, where he achieved his doctorate on process control in plastics injection molding. In 2010, he joined Phoenix Contact and was responsible for manufacturing-related technology development first. Since 2016, he is responsible for the area Business & Product Innovation in the unit Corporate Technology & Value Chain. On the one hand, the activities of this area focus on the implementation of integrated digital value chains addressing engineering and configuration as well as PLM and production IT. On the other hand, training and application of lean methods by the associated in-house LeanLab serve as an essential basis for the optimization of processes, which are subject to the application of IT strategies. Terms such as internet of things (IoT) or cyber physical systems (CPS) describe a new generation of highly distributed, intelligent digital systems. Such systems form the basis for a series of future applications ranging from connected mobility to health care to Industrie 4.0. This talk introduces the basic concepts of IoT and CPS and elaborates on new opportunities and open challenges. Applying these concepts to the field of Industrie 4.0, the talk gives an overview on important concepts such as digital twins and administration shells as they are currently discussed in ongoing standardization activities. The presentation will furthermore highlight new opportunities facilitated by Industrie 4.0 based on practical examples and it will point out open challenges and possible solutions including aspects such as assuring safety and reliability or the close interrelationship of technology and new business models. The presentation will close with an outlook on upcoming trends and developments. Dr. habil. Mario Trapp is the acting director of the Fraunhofer Institute for Embedded Systems and Communication Technologies ESK in Munich and he is a director of the Fraunhofer Innovation Center for Smart Embedded Systems in cooperation with the Fraunhofer Institute for Experimental Software Engineering IESE in Kaiserslautern. Moreover, Dr. Trapp is a lecturer at the Computer Science Department of the University of Kaiserslautern. Dr. Trapp studied computer science at the University of Kaiserslautern. He completed his dissertation on safety-critical adaptive automotive systems with honors in 2005. 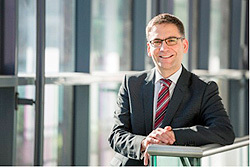 After his dissertation, he joined the Fraunhofer IESE in Kaiserslautern as department head. From 2009 to 2017 he was a division manager at IESE before he joined Fraunhofer ESK as acting director in July 2017. His personal research focusses on the model-driven engineering of safety-critical adaptive systems of systems in the context of the internet of things and cyber-physical systems.